Everyone involved in the construction process has incentive to get projects done faster and at a lower cost. And yet, 70% of construction projects today are completed late and over budget. Construction labor efficiency has decreased in past decades, while all other non-farming labor efficiency has doubled or more since the 1960s. Safety standards are also lagging behind, with the industry averaging 800 or more work-related deaths per year. The lack of improvement in the industry can be contributed to a number of factors, including industry fragmentation, lack of trust between key participants, the traditional contracting environment, craft-oriented culture, increased regulations, safety issues, and lack of process innovation. Research by the Lean Construction Institute (LCI) has found empirical evidence to support the idea that projects with high Lean intensity are three times more likely to be completed ahead of schedule, and two times more likely to be completed under budget. In this article, we’ll discuss the basics of Lean construction, and how it can help alleviate the major pain points of the industry. Lean is an approach to working that aims to maximize value created while minimizing cost and waste. It was originally developed on the shop floor of Japanese auto manufacturer Toyota, which was looking for a way to outpace its Western competitors. Toyota developed a set of practices, known as the Toyota Production System, that focused on maximizing value created for the customer by minimizing variability. Through a holistic practice of these principles, Toyota was able to sustain a lasting competitive advantage and forever change the standards of the industry. The Lean movement grew as Western manufacturers began adopting Toyota’s practices, to varying degrees of success. It became clear that in order to truly transform an organization, Lean had to be as much of a mindset as a set of behavioral principles. Organizations that tried to mimic practices without a deeper understanding of the why behind them often failed to achieve their intended results. But organizations that applied Lean in a principled, holistic way often saw marked improvements in quality, safety, productivity, and customer satisfaction. Many flavors of Lean emerged in the decades that followed – including Total Quality Management, Theory of Constraints, Just-in-Time and Six Sigma – and are still used today. Because of its history in manufacturing, Lean is often seen as a pure cost-cutting measure – but this is not the point. The goal is not to simply cut costs, but create a process by which an organization can sustainably improve profitability and create more value for their customers. Businesses in all industries have used Lean principles to streamline their workflows, reduce costs, and improve quality–most notably in software development, where Lean concepts (presented as Agile or Scrum) have significantly accelerated the pace of innovation. Software development teams have used Lean to improve workflow reliability — which is also a critical part of Lean construction, as we’ll demonstrate in this article later. How Does Lean Apply to Construction? Much like automotive manufacturing in the early-mid twentieth century and software development in the 1990s, the construction industry is ripe for a radical, sustainable change. However, the construction industry faces unique challenges that make the implementation of Lean different from manufacturing and other industries: Construction projects are generally unique and complex, completed in highly uncertain environments, under significant time and schedule pressure. Forward-thinking organizations are looking to adopt Lean principles to improve the ways people, processes, and practices work together to complete construction projects. The goals and priorities for all construction projects are generally the same: To improve workflow reliability (to keep progress moving); reduce inventory of material and tools; and reduce costs by staying on schedule. Variability will always be a part of construction; inclement weather, inventory issues, unreliable suppliers, inaccurate plans, and changing requirements can all impact the progress of a project. So the goal of Lean construction isn’t to completely eliminate variability, because this is not a realistic or attainable goal. But in every project, there is an abundance of opportunity for mitigating the disruption caused by variables both internal and external to the project. Lean construction helps crews recognize opportunities for improvement and act upon them in a way that is measurable, valuable, and constructive. different project and production management (planning-execution-control) paradigms. In other words – Lean construction helps everyone involved understand how materials, information, and people can be used more efficiently to deliver higher quality results, on time and on budget. A hallmark of any Lean practice, continuous improvement is the deliberate, continuous practice of optimization. It’s based on the idea that excellence is achieved through small, deliberate improvements — and that organizations should strive to always be learning, growing, and testing their ideas. It’s through the holistic practice continuous improvement that construction crews can drive more efficient, effective, and economic projects. In some types of knowledge work, continuous improvement opportunities can be identified and implemented quickly; for example, a marketer can recognize that his or her social media scheduling process is slow, find a scheduling tool to improve speed, and implement that tool all within a day or two. In construction, the cycle time is usually longer because the value stream is more complex. Any change to the original plan can have a downstream impact on other parts of the project — so changes must be decided upon and communicated across all stakeholders. To keep progress moving on projects, continuous improvement in Lean construction follows a steady cycle of planning and control. Planning includes defining criteria for success and developing strategies for achieving them. Control describes the process of causing events to conform to the plan, and triggering opportunities for learning and re-planning as needed. A continuous loop of planning and control allows Lean construction crews to stay on schedule while making improvements to processes and activities throughout the build. 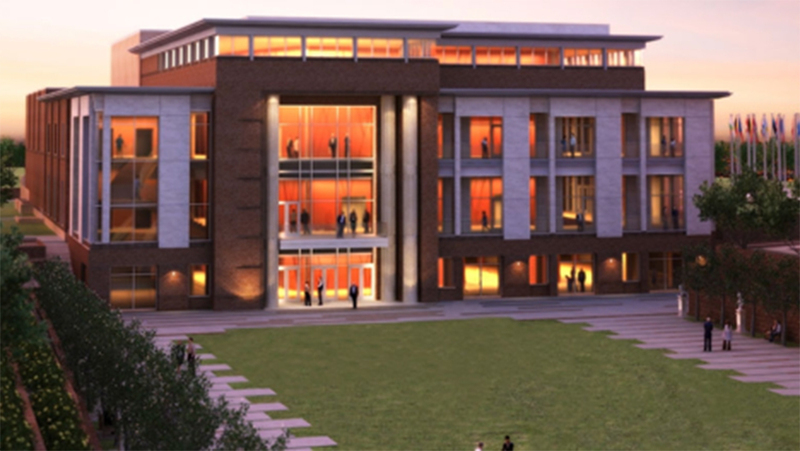 McCarthy Building Companies used the Lean concept of continuous improvement to maximize value and eliminate waste while building the $78 million Marybelle and Sebastian P. Musco Center for the Arts at Chapman University in Orange, California. McCarthy’s Lean culture empowers the firm’s employee partners to question current procedures in an effort to find a way to continuously improve the flow of work. At McCarthy, employees are given the freedom to innovate and “fix what bugs them,” maximizing effectiveness while minimizing waste. After key staff identifies the improvements or failures, the larger group is informed to benefit the entire project. Not unlike traditional construction, mistakes happen; using the Lean approach encourages individuals to share lessons learned in real time to prevent a one-time issue from repeating. One such improvement was the use of laser scanning to mitigate the demanding logistics of the build site. The site is surrounded by the university campus on three sides with residential homes on the fourth. In order to conform to the city’s height restrictions for this historic area, the final building rises only 55 feet above the sidewalk elevation, with stage area footings nearly 45 feet deep. The McCarthy team decided to use 3D laser scanning to map the initial site conditions for quicker production of a dimensionally accurate as-built drawing of the excavated terrain. This solution resulted in an 83% percent time savings over traditional surveying methods, allowing an early start of the building foundations. One particular area in which laser scanning proved beneficial entailed the excavation of a crater-sized hole, which spanned over 500 square feet and was approximately 50 feet in diameter and 40 feet deep. The accurate 3D as-built site drawings enabled the McCarthy team to determine both the amount of soil remaining on site and the amount of soil required for fill, without any additional information from the owner based on their prior project for soil export. It’s these types of innovative solutions that allow McCarthy to deliver projects on time and on value. Traditionally, construction management methods aim to optimize activities at the individual level — for example, trying to reduce the time roofers spend installing a new roof. However, focusing on optimizing individual activities might not optimize the system as a whole — and in fact, could unintentionally introduce more waste into the system. The reality is that a vast majority of waste created in any organizational system is created in the handoffs between activities or process steps. 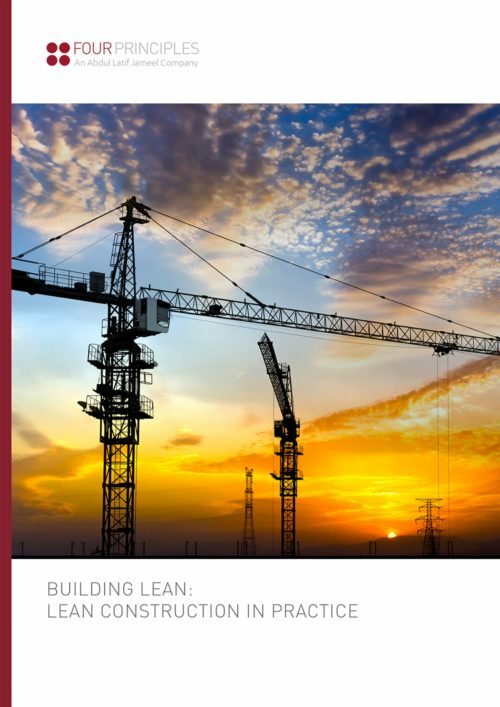 Lean challenges all stakeholders to develop and apply better ways of managing the entire construction process, from end to end — because it’s only through a holistic understanding of how materials and information flow through the process that construction crews can optimize their activities for faster, more reliable delivery. Designing a production system capable of delivering on time, on budget, and on value requires the collaboration of all project participants — at the very beginning of the project to align around goals/requirements, and all the way through until they are met. Collaboration, in the Lean sense, goes beyond the contractual arrangement of design/build or constructability reviews where stakeholders simply react to plans and designs. In Lean construction, all relevant stakeholders inform and influence plans from the beginning — allowing the entire system to tackle variability early on. Optimizing the whole also means allowing value to flow by systematically eliminating obstacles to value creation and those parts of the process that create no value. In order to do this, stakeholders need to first align around how value flows through the organization — then work systematically to eliminate tension points. This is usually done through a process called value stream mapping. Most construction crews utilize BIM (building information modeling), but not as many combine it with Lean construction concepts to ensure efficiency and accuracy. 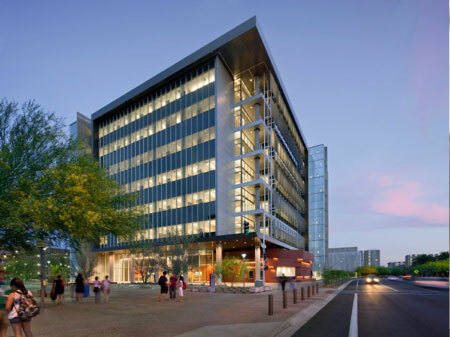 While building the Interdisciplinary Science and Technology Building (ISTB 4) at Arizona State University, a $112 million, state-of-the-art research and educational facility, Sundt Construction used a combination of BIM and Lean to save nearly $2 million on the project, while sticking to a highly aggressive schedule. Working with all stakeholders to align around the schedule is an excellent example of the Lean principle of optimizing the whole. Doing so allowed the crew to identify opportunities to reduce wait times and optimize resource efficiency. After using Lean concepts to create the project schedule, the Sundt team used BIM to maximize opportunities for off-site prefabrication. Prefabrication shaved $2 million off the overall budget and reduced the construction schedule by 16 weeks. The team was able to pre-fabricate 100% of the ductwork, 90% of the fire protection working with RCI Systems, Inc., as well as 30% of the plumbing. The building’s north and west facades were prefabricated off-site, as well as nearly all of the building’s laboratory components. Compared with the stable circumstances in factories, where only the material flow through workstations must be planned and controlled, construction sites are incredibly variable. Not only do construction crews manage the flow of materials, but they also have to manage the spatial flow of their workstations as the project progresses, increasing complexity. The rapidly changing working environment makes it difficult to implement measures of visual control and layout planning. Decentralized production makes it incredibly difficult to carry out benchmarking and improvement activities. All of these sources of variation contribute to an insurmountable level of waste on construction sites and during pre-construction. Lean construction principles aim to help crews identify and eliminate sources of variation to help mitigate its negative side effects. Variation in process can have a devastating effect on the reliable workflow of production operations. Even a small deviation or fluctuation in a crew’s performance can cause significant disruption and delays for downstream crews. One impactful step a crew can make to eliminate or reduce variation is to standardize work processes. 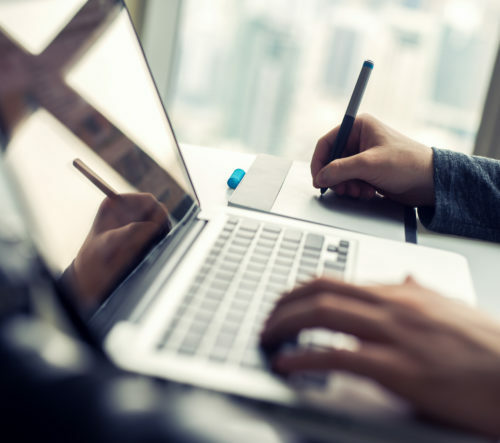 Standardizing processes can not only help eliminate variation, it also offers a baseline to improve work processes, and potentially work to eliminate issues in complexity, transparency, and benchmarking. Lean construction crews are laser-focused on improving processes, with the goal of reaching the optimum balance point between capacity utilization and wait time. Doing this enables crews to minimize wait states, keeping progress moving forward. Sutter Health is a giant not-for-profit hospital system serving over 100 communities in Northern California. Over the past decade, the organization has leveraged Lean construction principles, including Integrated Project Delivery, to aggressively expand into communities of need. For a major healthcare capital project in California, staying on budget is critical for growth and sustainability. “Lean and Integrated Project Delivery has allowed us to deliver $1.5 billion of work on-budget and on-schedule, and we have another $3 billion of construction tracking on-budget and on-schedule,” says James Pease, Regional Manager of Facility and Property Services at Sutter Health. Focusing on developing a scalable, sustainable Lean construction process across the organization has allowed Sutter Health to achieve a more fluid construction process, eliminating variability within construction sites; higher quality project work, with fewer resources spent on rework due to miscommunication; and higher overall efficiency, allowing the organization to serve more communities.